In the event of an emergency during the movement of the car associated with a sharp stop, or braking, or an accident, the load in the car receives a force of inertia that causes it to move in the direction of movement. If the load is in the closed Luggage compartment or if the load is small in size and is behind the seat in the Luggage compartment (for cars with a body, where the Luggage compartment is part of the cabin), then in the event of an emergency, the rear seat is a natural limiter for its movement. But, in cases when the size of the load or its quantity does not allow to place it safely behind seats in a Luggage compartment there is a dangerous situation when the load settles down in salon at the folded back seats, and in some situations the salon of the car can be loaded to a ceiling. If there is an emergency situation, this load will begin to move by inertia towards the people sitting in front, so that the people sitting in front can be injured. While the Luggage nets and straps its characteristics are not capable of keep the load in place. The technical result of the claimed invention is to create a system that would be capable of limiting the movement of heavy and bulky cargo, as well as small, light objects and not allow them to cause injuries to people in the cabin of the vehicle. The technical result is achieved by means of a seat retracted and folding, if necessary, a strong frame, which in some cases can be covered with a grid. - Location in the design of sliding elements that increase the area of contact of the system with the cargo. Fig.7-Front and rear seat. The rear seat is folded with rollover, the system is in working position. 11. The inner sliding element. The system components are located in the seat back (2) or in the lower seat cushion (1) depending on the way the seats are folded and depending on the way the system is extended. So, for example, in the method of addition sensors specified in Fig.7 the system may be located not only in the seat cushion (1), but also in the backrest (2), provided that the system is extended until the seat is fully folded. If you need to load in the car items more than fit in the Luggage compartment may be necessary to fold the rear seats (or in some cases, rear and middle, or middle) series. 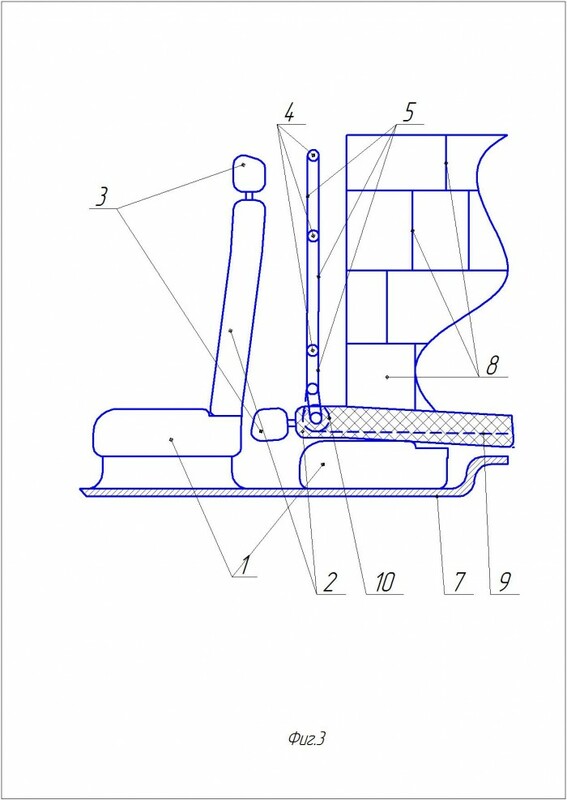 The automatic extension of the system during the addition of the seat with the established system of restricting movement of the load holding frame, comprising a vertical (5) horizontal (4) members nominated from the chairs themselves what is used on the cord (9), or levers, or thrust, United with the seat mechanism responsible for the folding. The cord (9) passing through the roller (10) is attached to the horizontal (4) or vertical (5) element of the holding frame. If it is necessary to forcibly fold the retaining frame, the cord (9) is detached from the horizontal or vertical element (4,5) and the retaining frame is folded back, even though the seats are folded. In addition, it is possible to use other types of mechanisms of extension and folding of the holding frame. This possibility is provided for vehicles with more than two rows of seats and, if necessary, transportation of large cargo exceeding the length from the rear door of the car to the retaining frame. With manual extension of the system, the holding frame is extended mainly in folded seats, but there are options for the location of the frame and folding seats in which the holding frame is extended in advance of folding the seat, or extends during folding the seat. The retaining frame can be connected to a part of the seat upholstery as its location in the seat back may disturb the overall impression of the interior aesthetics. And in this case, the seat upholstery is attached to each of the elements of the frame and between each two elements of the frame and allows you to protect people in the cabin from moving small and light cargo. 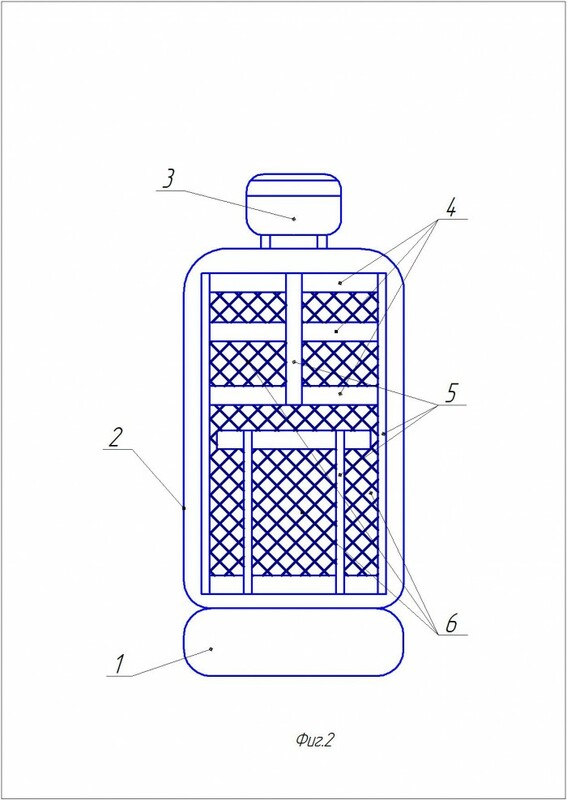 If the seat covering is not attached to the frame, is absent, or there is no possibility of its use as a protective element, between the elements of the frame can be stretched mesh (6). In the frame, several grids (6) can be applied by the number of cells that form horizontal (4) and vertical (5) elements of the frame, or one grid (6) can be used, but fixed on each element of the frame, and between each two elements of the frame. 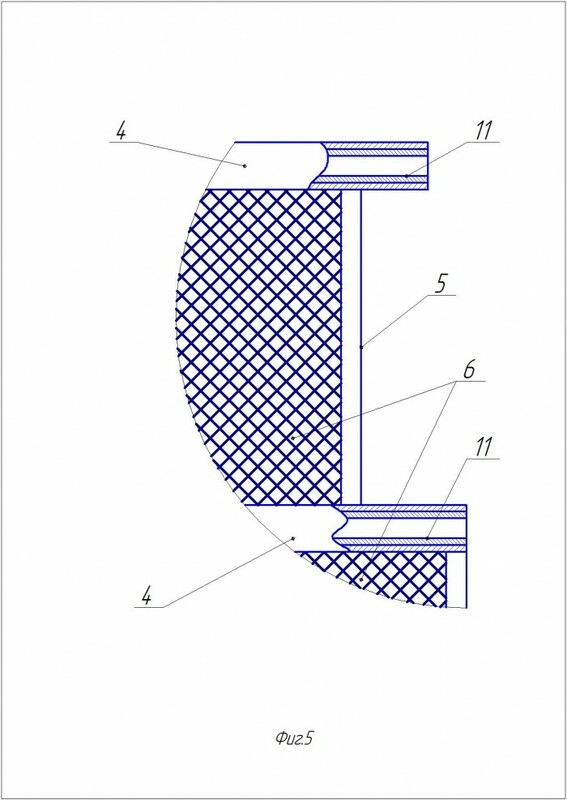 This method of fastening the seat upholstery, or mesh to the holding frame can reduce the area of contact with the load, and thus reduce the force with which the load will put pressure on the grid (upholstery), which will prevent its breakthrough. When several seats are placed side by side in one row and the retaining frames are extended together, a situation may arise where the distance from the holding frame in one seat to the holding frame in the other seat is too large, which increases the probability that the load (8) will be able to slip between the frames. To avoid this situation, it is provided that the horizontal (4) elements of the frame may consist of two parts (one of which is a connecting element) connected by means of movable loops, or horizontal elements (4) will have a hollow space inside which the retractable connecting element (11) will be placed. The sliding element (11) extends from the horizontal (4) element of one holding frame and can enter the hollow space of the horizontal (4) element of the frame of the adjacent seat. Thus, the holding frames are connected to each other, which increases their resistance to loads, and also creates an additional obstacle to the load, which eliminates its movement between the holding frames. For additional protection of people sitting in front of the light and small load can be used folding grid, which has a mount on the retractable element (11) and folding when using the retractable element (11). The car loaded with cargo on the folded back seat collides with a bump at a speed of 60 km/h.the speed of the car drops sharply to 0 km/h, while the cargo gets an acceleration approximately equal to the speed of the car before the collision. In the absence of a system, the load (8) moves forward, with only those objects that were behind the front seats being delayed. But the load on the backs of the front seats can lead to their deformation, and the load that was outside the backs is able to reach the frontal and in addition, with the uncontrolled movement of the load, it is able to reach areas of the human body that are not protected by the seat back (2) or weakly protected by the seat back and headrest (3). These areas of the body include human hands, neck, head. And injuries to the neck and head can be deadly in such a situation. In the presence of the system, the load (8) moves forward meeting on its way an obstacle in the form of a holding frame and located inside the frame cells formed by horizontal (4) and vertical (5) elements of the frame, grid or fixed part of the seat upholstery. 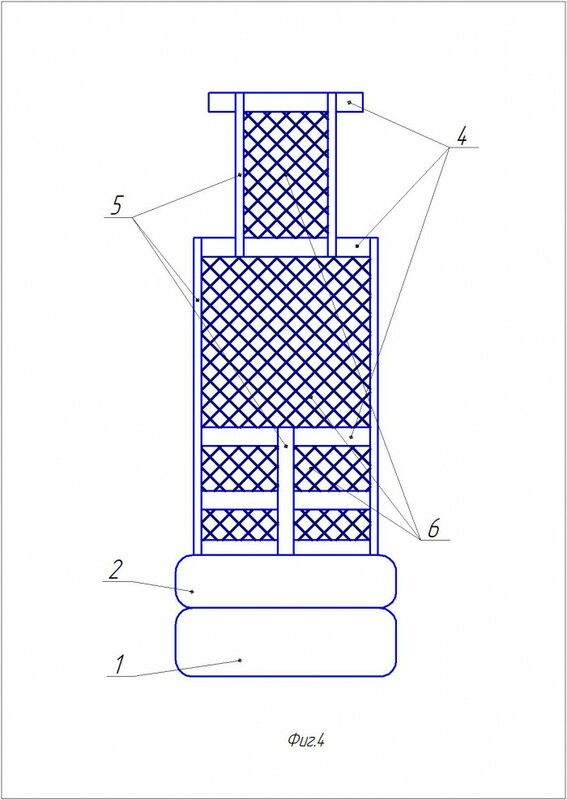 In this case, a large load is held by vertical (5) and horizontal (4) elements of the frame, and a light and small load is held by the grid (6) or seat upholstery. 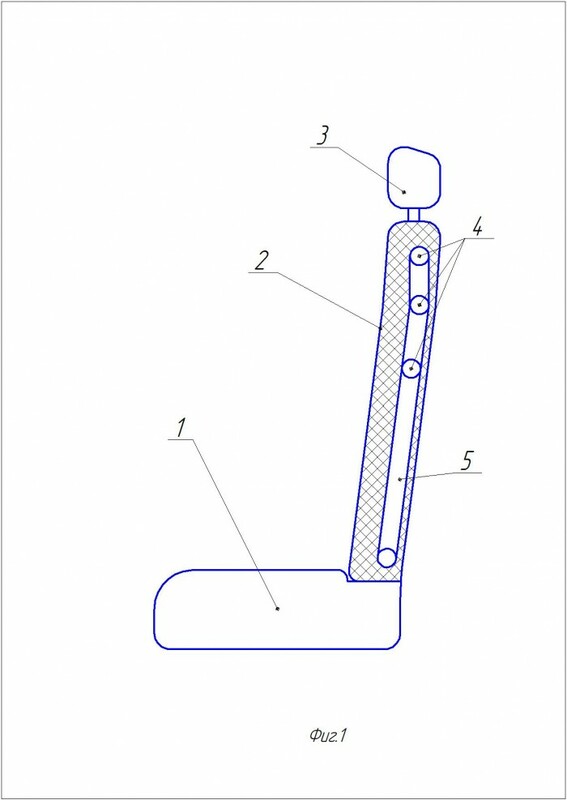 Page created at 2019-04-24 18:09:51, Patent Auction Time.